2015-12-21 21:09:56 -0700 answered a question Is there any problem with stable/lithium source code when running mvn clean install..? thanks Gabs, port 8080 is free apache2 service is running i restarted it but, nothing happened. when i try to load dlux via localhost:8080 i see the first page but after entering user and pass it shows me below error. i have jdk1.8.0 and maven 3.3 on my vm machine,also i have set java env variable. when i run : mvn clean install it got me an error on building clustering.services-implementation project as you can see below. i have jdk1.7.0 and maven 3+ on my vm machine,also i have set java env variable. 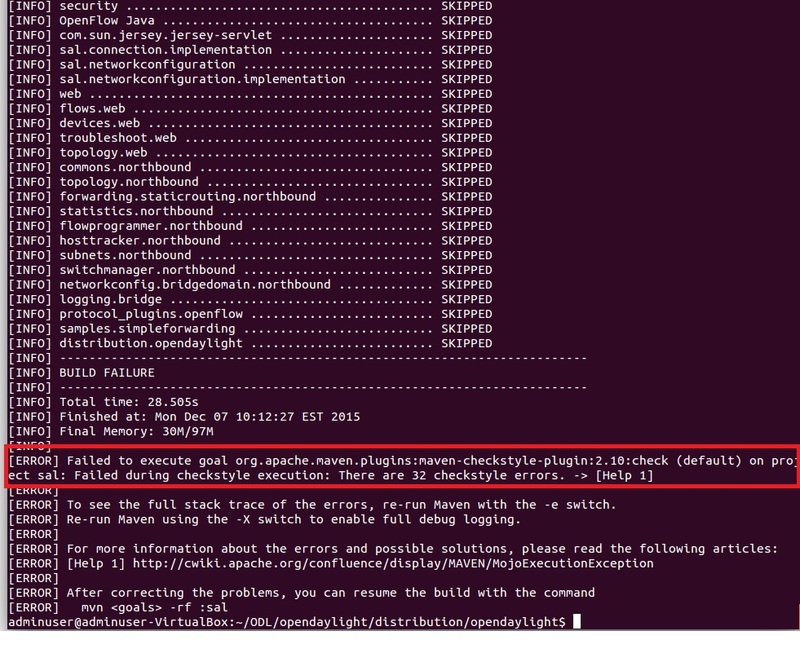 when i run : mvn clean install it got me an error on building sal project as you can see below. what kind of features should i install ?